Our first seven years have been very successful and we would like to thank our customers for their support and referrals. Going into our eighth year we realized we had outgrown our original store location on Beck Street. As of July 2, 2009 we relocated to a more spacious SHOWROOM at 730 Memorial Avenue. We are very pleased that our customers, friends and families continue to support and encourage us. We serve commercial and residential customers with a wide variety of quality products and the same professional installation Thunder Bay has come to know as our trademark. Our work includes both residential and commercial flooring for a number of premium contractors in Thunder Bay and surrounding areas. We are always looking for unique and top quality products to offer the Thunder Bay area. It is our desire to offer the latest, best and most fashionable flooring products available, side by side with the very best in workmanship. We invite everyone to visit our showroom, which features many of the flooring products available. Find out what's new in floor fashions and take advantage of seasonal specials. We are committed to our customers' complete satisfaction, both commercial and residential. Don't know where to begin? Our hands-on customer service will help you find the right flooring to suit your needs and style. We also offer complimentary visits to your home with estimates for your upcoming flooring projects. Call us for all your flooring needs.......We'll floor you! Specials, Warehouse Deals.........................and more specials!......... and abit of NEW!! This Vinyl Plank Looks like the real thing! Centura's Dura Flexflor Vinyl Plank is a hardy 9" x 48" vinyl that is designed to last in both residential and commercial settings. It offers good sound insulation that exceeds ICC basic standards. Available in 13 colours. Come see Mannington's new luxury vinyl collections. Featuring Adura Flex, beautifully elegant plank and groutable tiles! Mannington's tiles can add a classic charm and new life to any bathroom or kitchen space. Choose from square or rectangle sizes, the options are endless! Also introducing Adura Rigid and Adura Max vinyl plank and tiles featuring a click installation method and attach under pad.Come in and see us, we will show you around! It's features Water Block technology allowing it to be water resistant up to 72 hours, suitable for kitchens and bathrooms. Also extra durable for those active families, pet friendly, superior scratch & stain resistant and easy to clean. And did I mention this laminate also comes with an attached under pad. All the benefits you would want in a flooring. Stop in our showroom and see all the fabulous patterns up close! There has been plenty of new flooring solutions that have arrived in our showroom, including Phenix Carpets. They offer a fantastic assortment of cut pile and patterned berbers that would make stylish area rugs to highlight your space. Phenix Carpets are available in both Polyester and Nylon Collections. Some with Stainmaster PetProtect technology for those that have four legged friends in your homes. Come into our showroom for details. Who doesn't like a good deal? We currently have a variety of Richmond and Phenix Broadloom Carpets on special. Save from $1.00 to $5.00 a square yard. Haven't installed carpet before, well we have!! can install it for you! 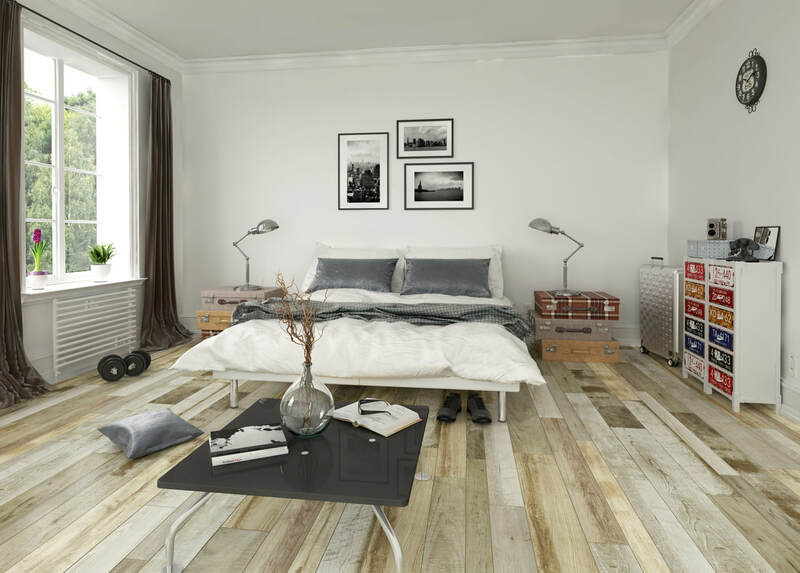 Laurentian offers a vast assortment of Engineered Hardwood. A wide assortment of narrow traditional and wide plank looks. Natural Reserve Collection as shown here is a rustic look with tons of personality. They offer more exotic styles in their Acacia Collection or traditional oak and maple species in their Newbury line, just to start. All engineered hardwood on special!! it's Going Quickly!!! Two Colors!!! Easy Installation, no adhesive required, virtually maintenance free and looks fabulous! 157.60 sf (C.O.) Still available. Carpet tiles are idea for any office, commercial or residential setting. A stylish tasteful look, easy to maintain or install and switch out for any minor repairs. Over 101 square yards still available! We carry Armstrong, Mannington, Inhaus, Richmond, Tarkett and more. All leading brand names that have unique collections from traditional classic looks to barn board shabby chic styles. Sale Ends April 30th, 2019 *some exclusions may apply. Doing it yourself? Laminate is perfect for those DYI home improvments. Laminate doesn't look like laminate anymore! It looks fantastic and is easy on the pocket book. Need a large amount? Let us give you a quote, we'll see what we can do for you!! They offer a fantastic assortment of luxury vinyl plank available in cork & foam backing w/click installation or glue down. We are also featuring their collection of laminate in our showroom. Both vinyl plank and laminate collections visually features a rustic hand scrapped look, shabby chic or more traditions styles. We would be happy to give you the grand tour, come in and see us!! AND...Take advantage of our in-store specials! Need Some Ideas..... Come Get Inspired! While Supplies Last!! Quantities are limited. Luxury Vinyl Tiles are the latest trend in vinyl flooring. Suitable for kitchen, bathrooms, entrances and more. Choose from a selection of five patterns or styles.These are non groutable tiles, no fuss no muss. Tarkett Fibre Floor Super Sale! Save on all Easy Living and Fresh Start Sheet Vinyl selections. Styles from tile, wood or slate look. There is something for whatever decor you have in your space. Fibre Floor is easy to maintain, easy on the pocket book and looks fantastic. Instore Special's on Now! Save on selected luxury vinyl plank styles! Styles available in both glue down and click options. New collections just arrived, Ascot, Eldora and more! Come in and see the variety of options they have to offer. American Biltrite Luxury Vinyl Tiles - Ultra Ceramic is an excellent alternative to ceramic or stone. Warm, quieter and much easier to install. They are available in over 50 patterns to choose from in both 12" x 24" and 18" x 18". They come with the option to grout or not to grout. We are excited to share the arrival of Mannington's new Hardwood Collections, Latitude, Cider Mill Oak and Carriage Oak. These collections exude nothing but character and charm. Subtle wire brushed and distinctive painted weathered affects highlight the natural marking in the hardwood. Collections come in multi widths and traditional 3" boards that bring back what once was. Made in the USA. sheet vinyl. TruTEX goes where other floors can't. This unique technology is ideal for bathrooms or damp basements with their moisture management system. It will enhance the life, beauty and performance of your floors. Resists mold, mildew and moisture stains. All Fibre Floor on sale ~ 10% off!! This product is ideal for high moisture areas like kitchens, bathroom and basements. Easy care and maintenance - wet-mop friendly. Heavy weight of appliances and furniture will not have any negative affects on this flooring. If you have pets, kids or like to walk around in high heels you have no worries! Stop by our Showroom we will gladly introduce you!! Lifetime Residential Warranty, features a ceramic composite core, great for any four season camps, cottages or home. $5.39 sf on sale!!!! Can't Beat That! This product is guaranteed to last, features a 12 mil wear layer, 30 year warranty and is 100% water proof. When exposed to water planks will not swell, buckle or lose any of their integrity. In addition it is easy to install with a click installation method. Take a closer look and bring a sample home today. 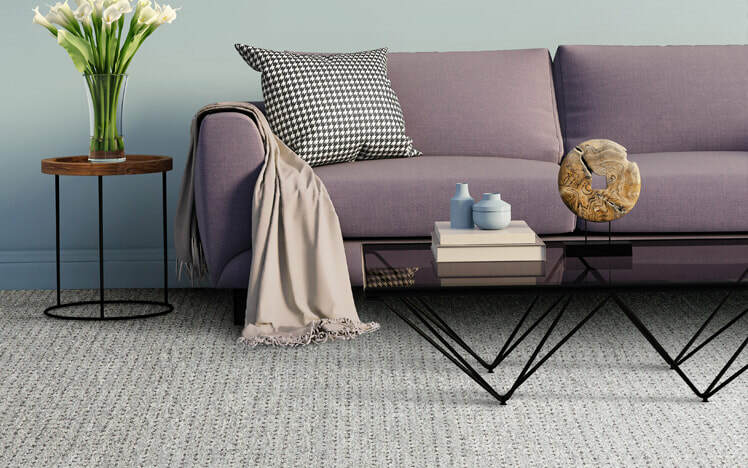 ShawMark Carpets has the highest of standards in both quality and warranty. They offer classic styles in cut pile and berber patterns. ShawMark is one of the few carpet companies that offer warranty on hallways and stairs. Stop by our showroom and see if they have what you are looking for. Go Green Collections! Sale Ends April 30, 2019.